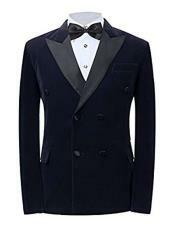 There are some wardrobe pieces that will stand the test of time and double-breasted suit jackets are one of them. Seeing that fashion keeps changing it is imperative for us to keep up the change to look stylish and modern. 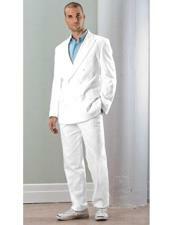 Perfect and unique, they will make anyone look amazing and modish. 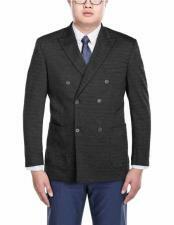 In order to keep your look updated, you need to get in touch with fashion experts like MensUSA which can provide you with great fashionable blazer as well as tips. 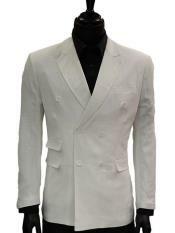 Our perfectly designed blazer will add the right touch of elegance and personality which will definitely change the way you look. 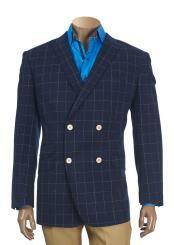 Our men's double breasted blazer will look amazing if you're going on a business trip. 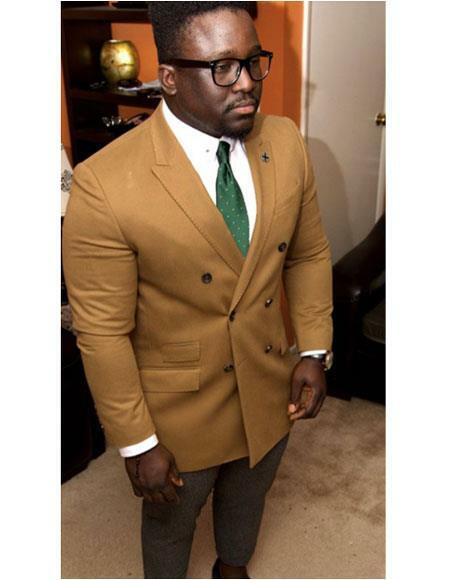 If you look at our double breasted blazer, you will be surprised by the confidence and prestige which it gives when you wear them. 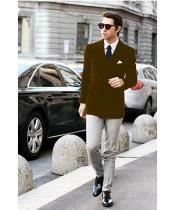 Double breasted blazer from MensUSA.com is carefully designed is such a way that, it will definitely make you look stunning and smarter. 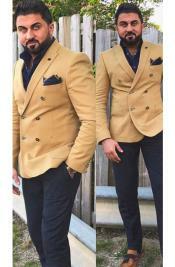 Why Double Breasted blazer from MensUSA? 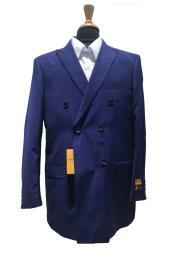 MensUSA.com gives first priority to customer satisfaction; each and every suit is carefully designed and stitched to make sure that you should just adore our double breasted blazer. 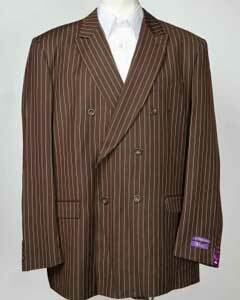 We use the finest of all fabrics, made from Merino worsted wool. Our experts will make sure that we use only high quality materials. 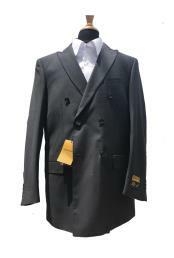 Our double breasted blazer is very much suitable to be worn for any occasion; weddings, parties, official meetings, business trips and even for prom. 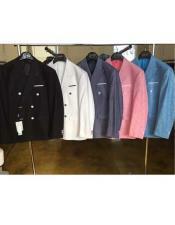 We have a wide range of blazer to choose from. 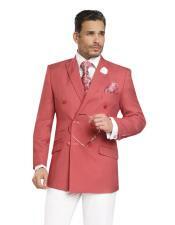 Our double breasted blazer come is superb colors and different styles. 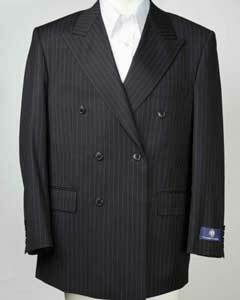 We have the finest and excellent Men's Italian Double Breasted Tuxedos, 1 to 4 button double breasted blazer with side vents which come is marvelous colors like navy blue and black. 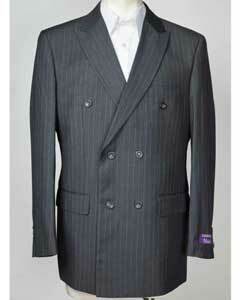 You can even try our Baroni Double breasted suit made from Super 150's wool. 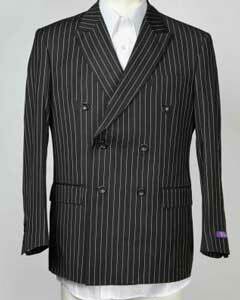 We also have Fashionable Ton on Ton small pinstripe Double breasted blazer. 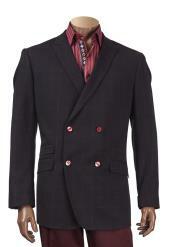 If you like to try something different to impress your colleagues or your boss during a business meet, then try our double breasted blazer which come in unique colors like black pinstripe, burgundy color, dark English charcoal color, brown, coco, white and peach colors. 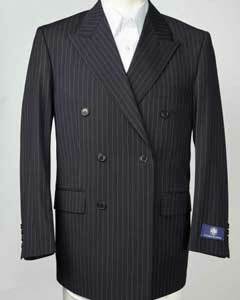 You can also try navy blue pinstripe and dark shades of navy blue, brown and solid black. 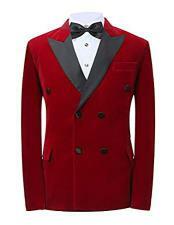 If you try our blazer just once, you're sure to come back for more. 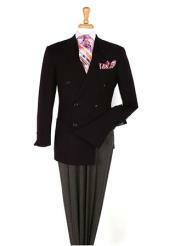 Apart from these collections of blazer, you can also check our classy leather shoes, hats and neck ties. You will find our collections totally irresistible. 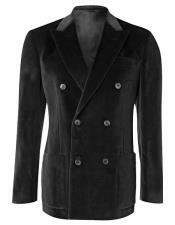 To shop online via MensUSA.com is very secure and easy! 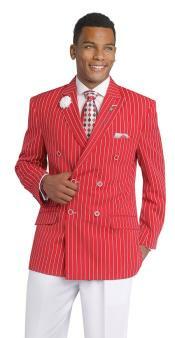 A double breasted blazer men's suit is considered to be a smart and distinctive wear for business or for a special occasion. 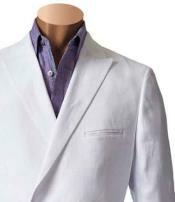 A double breasted blazer will have a dynamic composition, which combines the natural comfort and style. 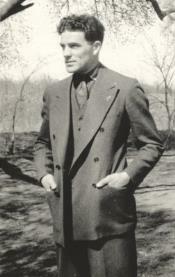 When you wear a double breasted blazer, it actually gives you the vitality and modernity. 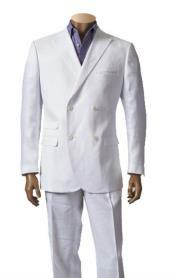 Why Double Breasted Blazer from MensUSA.com? 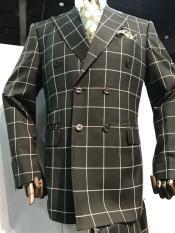 Mensusa's incredible range of double-breasted suits for men is dirt-cheap in terms of price but highly implausible when it comes to quality. 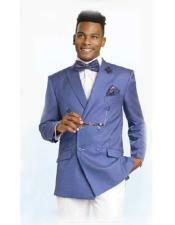 Designed with an intention to satisfy your style needs, extraordinary style coupled with great comfort is what you can expect from our ranges of suits, blazers and so on. 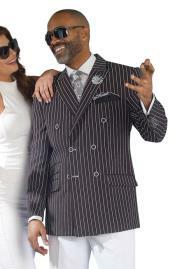 So if you are looking to shop double-breasted suits for men online, look no further than us, not only quality, style, and comfort are the reasons why you should shop from us, there are a lot more. From black to white, red to green, we house a range of colours and our light blue double breasted blazer is sure to break the boundaries between the social classes and it will give you an outstanding look whenever you are among your group of colleagues or friends. 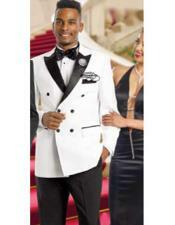 Our suits look great for many occasions such as a social function, seminars or for dinner parties. 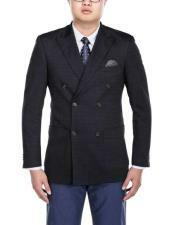 MensUSA.com has attractive collections such as navy blue blazer with peak lapels and button holes which costs you just $199! 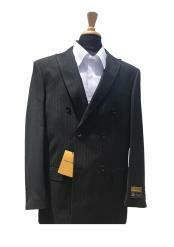 You can try our Hardwick black colour double-breasted blazer which of highest quality and finished neatly. 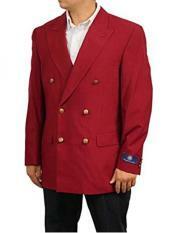 We also have a stunning red color men's double breasted suit jacket, available for just $139. 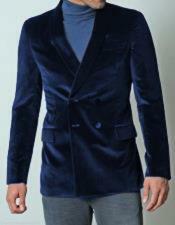 You can even try our high quality texturized double breasted blazer made from the finest worsted wool. 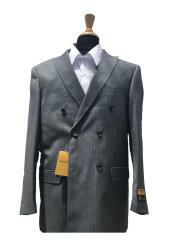 Mensusa's range of cheap slim fit and gold buttons double-breasted suits for men is available in eye-catching colors like green, cream and in different fabrics and constructions too. Trends of men's dressing keeps changing from time to time, but mensusa's timeless and modern suits will stand the test of time in terms of style, comfort, and durability and our double-breasted suits are no less than 100% excellence, so what are you waiting for? 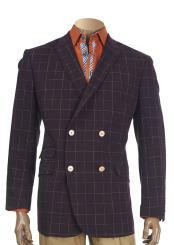 Browse through our range of royal blue men's double breasted sport coats crafted from a variety of fabrics like tweed, linen, velvet and have the best bang for your buck.